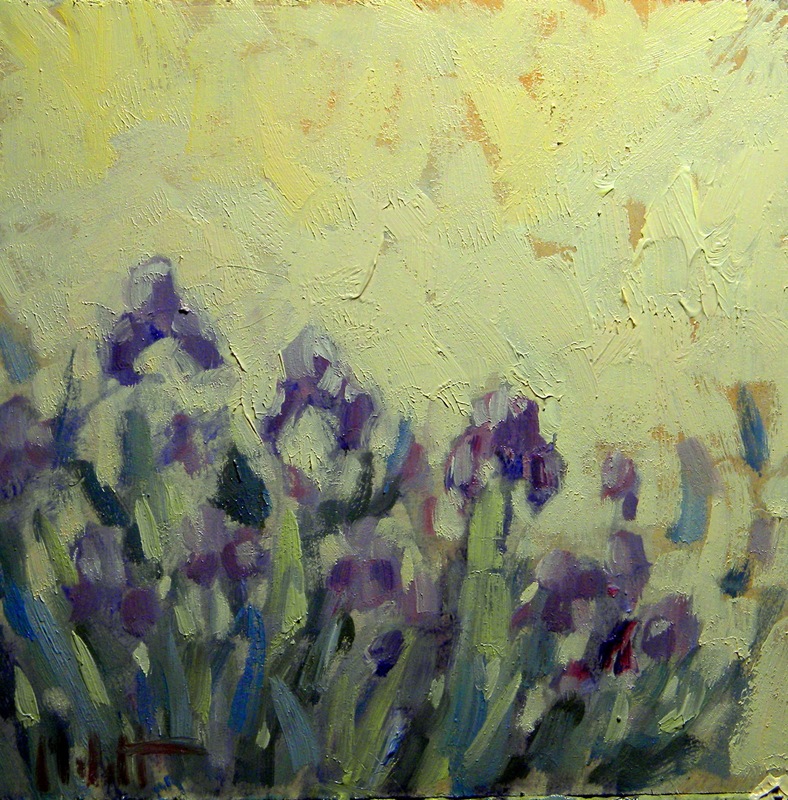 "Iris in a different Light"
This painting look familiar? Yes, it is very similar to yesterday's painting posted. When I completed it, I really wanted to see those irises with a warmer background. Unfortunately, I finished this painting after dark so I will have to re-photograph it in the daylight tomorrow, hope it's not cloudy.